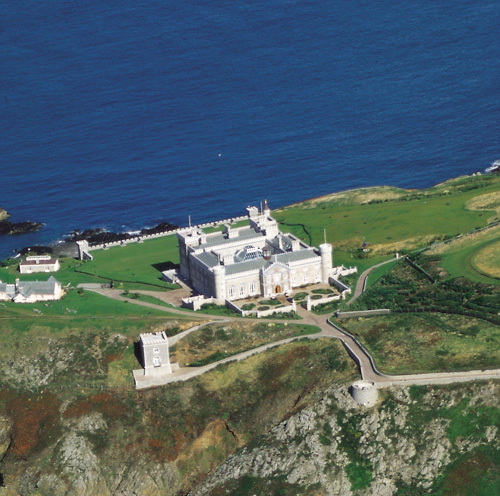 When booking a trip to the storied isle of Sark, one of the last traditional Norman fiefdoms in Europe, visitors will now have the added opportunity to explore the little-known neighbouring island of Brecqhou. Found within the Bailiwick of Guernsey of the Channel Islands, an archipelago of British dependencies dotting the waters between Britain and France, these islands have a distinctive character harkening back to their Norman origins. As the last remnants of what was once the vast Duchy of Normandy, established by Viking raiders in the 9th century, Sark and Brecqhou have an abundance of fascinating historical sites, as well as being blessed with natural beauty and a sunny climate. Sark, being small and lacking in industry, has a tourism-based economy that has flourished with the establishment of small luxury hotels and, for some well-to-do Brits, the lure of advantageous taxation policies. Sark is actually two islands – Greater and Little Sark, with Brecqhou a few hundred feet to the west – joined together by a small isthmus notorious for being so narrow that schoolchildren, walking from the little island to the mainland school, once had to crawl across it for fear of being blown off the precipice during high winds. Thankfully, a protective railing was built in the early 20th century, one of the seldom-seen changes made on the islands. A visit here is like turning a page back in history – horse-drawn carriages are the main transportation, most homes are quaint cottages, and light pollution is so negligible that Sark was awarded the honour of being the world’s only “Dark Sky Island” by the International Dark Sky Association. The group designates places where a lack of artificial light can let astronomy be done with the naked eye – virtually all other such places are uninhabited. 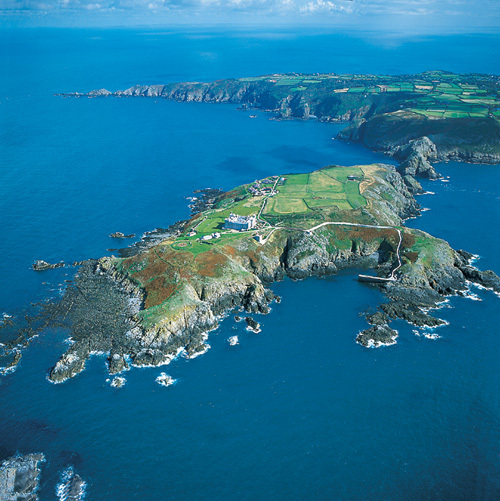 Sark and Brecqhou’s isolation has led to a remarkable continuation of the islands’ traditional culture and political structure – including their own language, an ancient variation of French called Sercquiais – making the islands seem like escapes from the complications of the modern world. In fact, this distinction is more than merely symbolic; neither the Bailiwick of Guernsey or nearby Jersey is considered a part of the United Kingdom or the European Union, although they do participate in a common travel agreement. The independence of these islands, of course, will draw in some rather independent personalities. 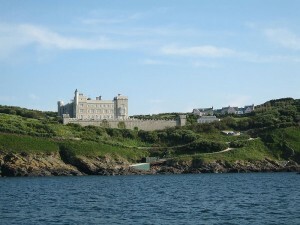 Frederick and David Barclay, identical twin brothers and billionaire owners of The Daily Telegraph newspaper, purchased the island of Brecqhou in 1993, and set about renovating it dramatically with a large Gothic-style castle, complete with battlements, two swimming pools, and a helipad. Some feathers were ruffled on Sark when the brothers, disputing the historical claim to the island by Sark’s rulers, lobbied for Brecqhou’s political independence. Perhaps this controversy has cooled down, however, as shown by the new arrangement between four luxury hotels on Sark and the Barclays. Day boat trips to Brecqhou are now free for guests of any lodging in the Sark Islands Hotel Group, and will shortly be open to all visitors of Sark. According to a recent press release, the business community on Sark feels that visits to Brecqhou will be an added draw for tourists, and it certainly impressed a delegation of UK and French tourism officials who recently made the journey. Locals are equally enthusiastic; Kevin Delany, who is the managing director of Sark Estate Management, had especially high praise for Brecqhou’s gardens. “Brecqhou is a special place to visit for anyone coming to the Channel Islands,” he said. “Over the past 16 years around 190,000 trees, shrubs and flowers have been planted on Brecqhou and the landscaped gardens have developed and matured into an idyllic haven for 2,000 species.” Of course, giving visitors the chance to get a glimpse at the famous Barclay Brothers’ private castle won’t hurt Sark’s tourism, either.